Analyst company iSuppli has estimated that Apple will pocket half the revenue of every iPhone sold. Each Apple iPhone will cost around $230 to make, according to the preliminary functional bill of materials (BoM) estimate created by iSuppli, whereas the price for consumers is currently set at $499 (about £253). If the on-sale price is kept at the amount, Apple would pocket more than 50 per cent of each iPhone sold. 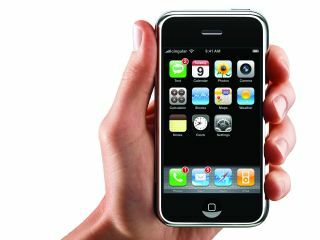 This would give Apple, along with its chosen network partner Cingular, "a hefty profit, as well as plenty of room for future price cuts," iSuppli said. "iSuppli estimates the 4GB version of the Apple iPhone will carry a $229.85 (£116.45) hardware BoM and manufacturing cost and a $245.83 (£124.54) total expense, yielding a 50.7 per cent margin on each unit sold at the $499 retail price," said Andrew Rassweiler, a senior analyst for iSuppli. "Meanwhile, the 8GB Apple iPhone will sport a $264.85 (£134.19) hardware cost and a $280.83 (£142.29) total expense, amounting to a 53.1 per cent margin at the $599 (£304) retail price." A 20 per cent surcharge is usually added on for development, marketing and other costs. Factoring this cost in, the final price for an 8GB Apple iPhone should be around $350 (£177), especially if the cost of components keeps on dropping during the coming months. "With a 50 per cent gross margin, Apple is setting itself up for aggressive price declines going forward," said Jagdish Rebello, principal analyst with iSuppli. There is no way of telling whether this will be the case or not until the Apple iPhone is released in the US in June. According to iSuppli, it is the memory capacity and the screen that brings the cost up. The two components cost $103.50 (£52.44) put together for the 4GB version. The calculations made by iSuppli include physical parts, the Mac OS X software, manufacturing costs and external licences.